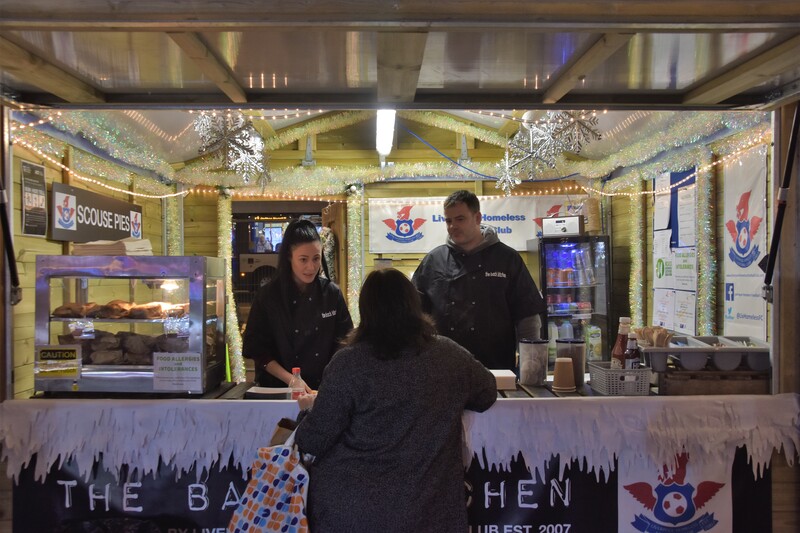 Liverpool Homeless Football Club are thrilled to let you know that we will be taking our Back Kitchen onto Liverpool’s Christmas Market. Thanks to Liverpool City Council and their markets team for helping to set up our first ever Christmas Market stall. It’s a great opportunity and we are really looking forward to getting food out to the masses who attend these Christmas markets. As you may or may not know already The Back Kitchen is our catering project and supports people experiencing homelessness to grow through training and employment. Our members gain work experience, qualifications in food hygiene and learn how to boost their self-confidence while also learning practical skills. The Back Kitchen was funded by Plus Dane Housing Group in 2015 and now caters for all of our matchdays, The Spirit of Merseyside League, private events for our corporate supporters and partners. 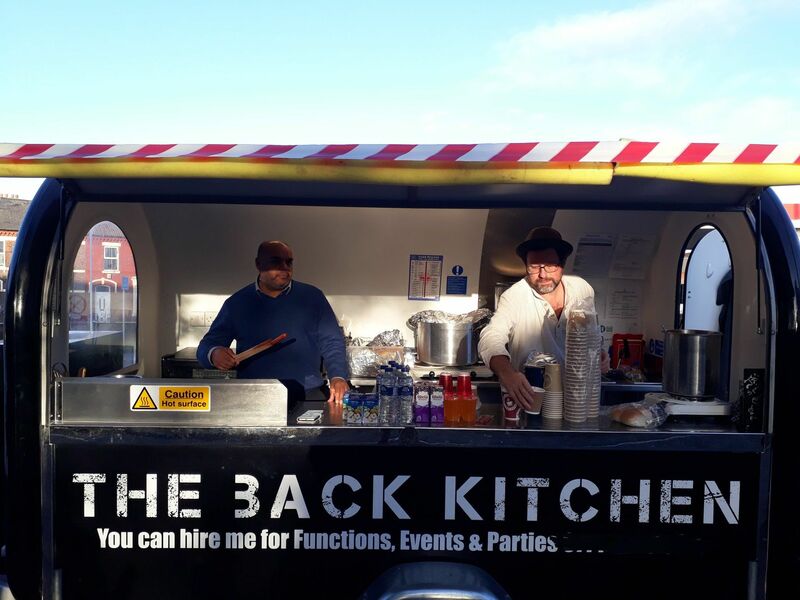 The next stage of the journey is to take the Back Kitchen out to wider city events starting with this year’s Liverpool Christmas Market in front of St Georges Hall. The profits from every dish sold will pay towards a dinner on Christmas Day for our members. The Christmas Dinner is an annual event run by LHFC and its partners to provide a full meal and chance to socialise for those who do not have anywhere to spend Christmas. The Christmas lunch will be held at the Florrie on Mill Street, Liverpool 8. Any surplus will be put towards the Cre8 Community Centre Fund, we have not told you much about this yet but watch this space. Cre8 will transform part of North Liverpool into a purpose-built community stadium which brings all of our activities together and creates one very open front door for anyone at risk or affected by homelessness. Great to see so many supporters over the opening weekend, it was great to see so many old friends and also some new supporters too! We underestimated on the first day just how much the lovely people visiting the markets enjoy scouse pies, we sold out within about two hours of opening! We’ll try not to make that mistake again! 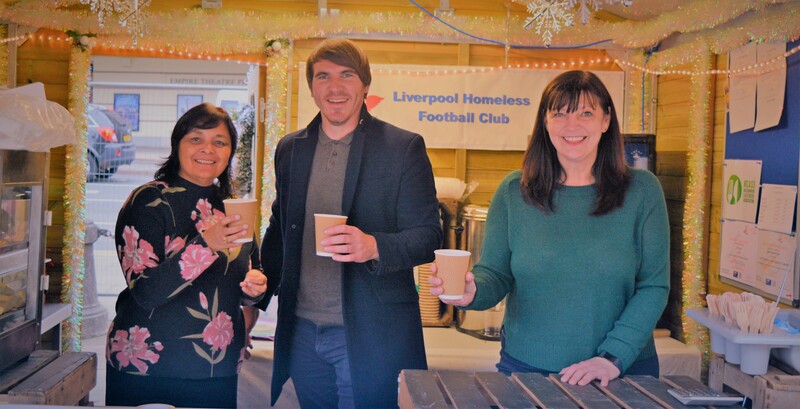 Great to see one of our biggest supporters Liverpool City Councillor Ann O’Byrne enjoying a hot drink and Scouse Pie in support of all the homeless people in our region. Ann was enjoying her drink with Frances Davis and Matt Bell from our office. Please come and say hello if you are visiting the markets at St Georges Hall and see if we can tempt with you with one of the famous Scouse Pies supplied by the brilliant Anfield based co-operative bakery, Homebaked. On a separate and totally unrelated point, our CEO John Finnigan is currently one of the international volunteers at the Homeless World Cup. 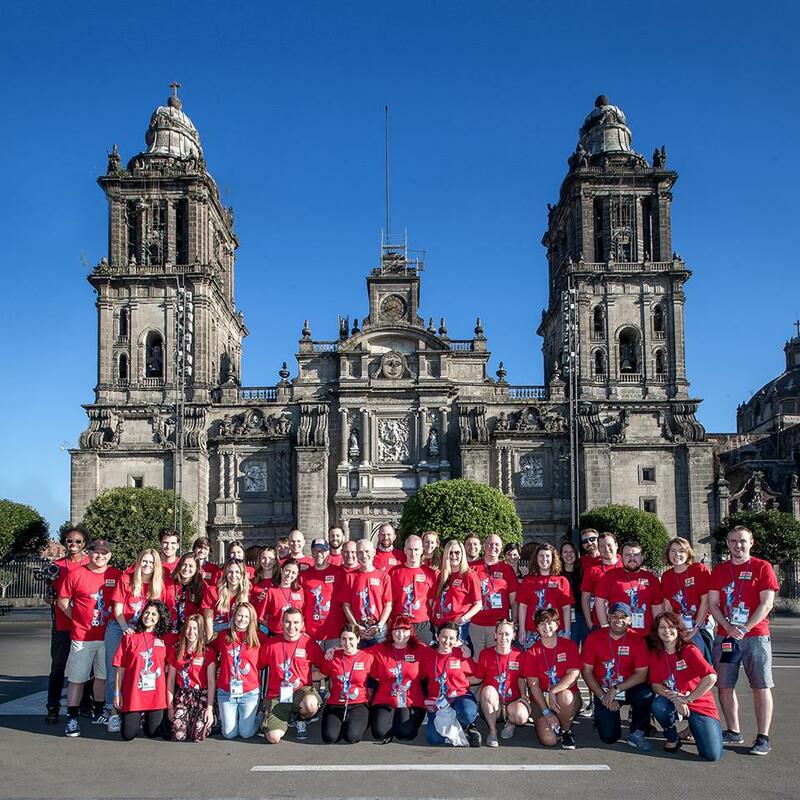 Keep checking back as John has promised updates from his trip to Mexico where he is having a great time and raising much-needed awareness of homeless peoples plights across the world. Thank you all for your continued support and we look forward to welcoming you to the Back Kitchen this Christmas. So glad you enjoyed the pie and the service Debbie. Thank you for taking the time out to visit our stall and our webpage. Keep an eye out for new ventures in the new year. Best wishes from the LHFC team.